Today we learned a lot of Japanese beverage vocabulary! In these review notes, we will go over all the Japanese vocabulary that was in the video and we will see a list of extra Japanese beverage vocabulary! 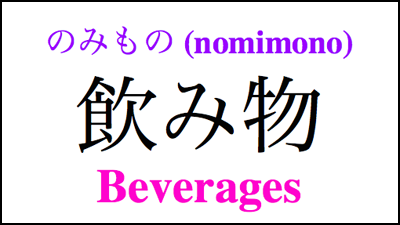 ★ The Japanese word for beverages or drinks is 飲み物 (nomimono). 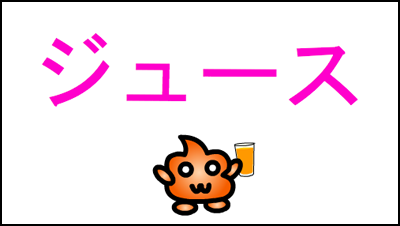 ★ 飲む (nomu) is the verb drink, and 物 (mono) means thing. So, nomimono means: thing that you drink, or simply, a drink. ★ 水 (mizu) is the Japanese word for water. 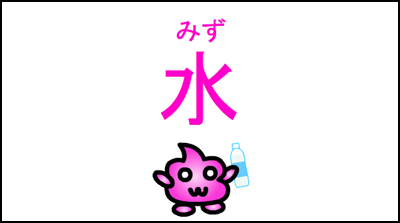 ★ It is also commonly written/spoken as お水 (omizu). 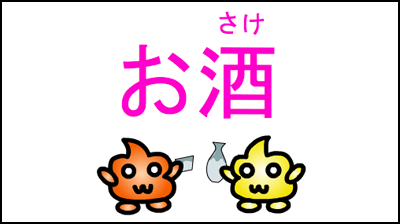 Adding an お (o) in front of certain Japanese words makes them sound more polite. 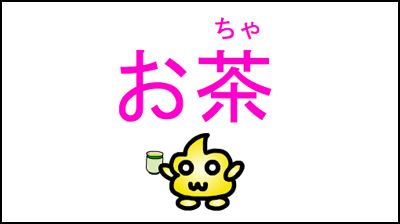 ★ Another way to say milk in Japanese is ミルク (miruku). This comes from the English word milk. ★ Juice in Japanese is ジュース (jūsu). This comes from the English word, juice. ★ When Japanese people say お茶 (ocha) they are talking about Japanese green tea. There are other names for different types of tea. 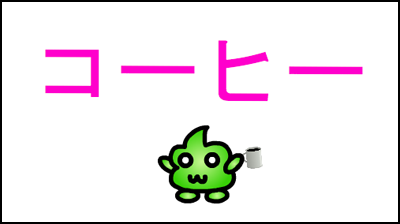 ★ The Japanese word for coffee is コーヒー (kōhī). ★ お酒 (osake) is Japanese rice wine. It also translates more generally as alcohol. ★ お酒 (osake) can also written/spoken as 酒 (sake). 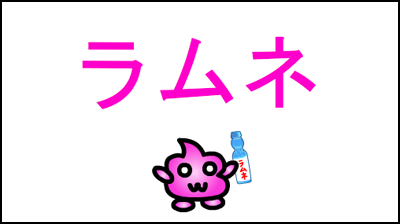 ★ ラムネ (ramune) is a Japanese carbonated soft drink. It is sometimes called marble soda because the glass bottle is sealed with a marble.